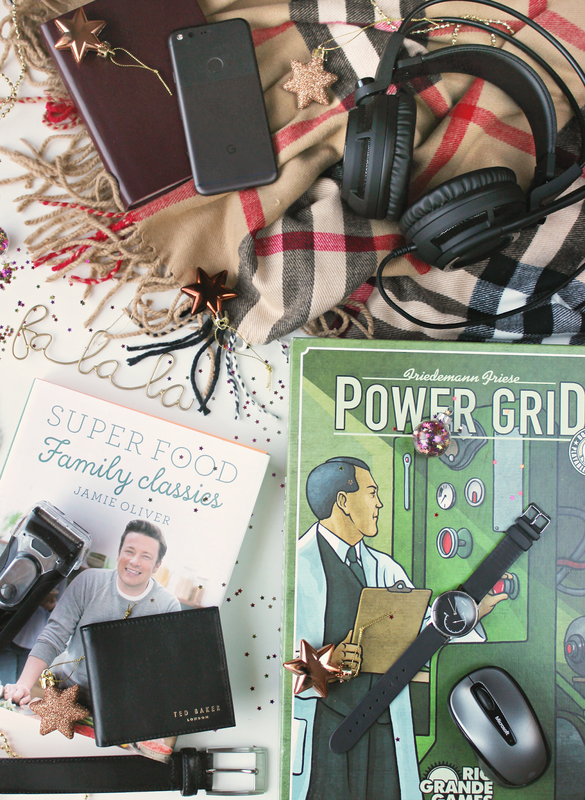 It’s time for another gift guide, and today I thought we’d talk about the men in our lives, from dads to brothers and your other half – hopefully, this gift guide should have you covered! I wanted to cover as many personalities as possible – from fitness lover to avid gamer, there should be something for everyone in this post. For the chefs and men who love to cook, I’ve picked out Super Food Family Classics from my cooking books – it was released this year and I believe it’s Jamie Oliver’s latest recipes compiled into one big fabulous book. It’s perfect for dad’s with culinary talent and it is filled with so many wonderfully delicious meals inside. For a sleek style staple, a Ted Baker Wallet is something that would definitely be well loved. I bought one for my husband a while back and he never leaves the house without it – it’s compact, smart and stylish, as well as amazing quality that will last for years to come. A sleek, black leather belt is another wardrobe essential that will always remain a classic. Paired with the wallet, both would make the perfect ‘classic gentleman’ gift. The Braun Series 3 3020 Electric Razor is definitely a more affordable gentleman’s gift. It’s perfect for those who love to stay well groomed without anything too fancy. It’s quick and easy to use, and it gives a really close, clean shave. I always find this time of year is perfect for enjoying time together over a board game, so a new one to play might make the perfect gift. I’ve recently learnt how to play Power Grid and I love it! The box itself is really retro and the game is based entirely on strategy so it’s good for those who enjoy that. For gamers, the MSI Gaming Headset is a really useful gift for great sound quality whilst gaming. It has a built in microphone, it’s noise cancelling and enhances sound effects for any games, music or movies (plus, it looks the part too). If you’re on more of a budget, the Microsoft Wireless Mobile Mouse also makes a cute little tech gift or stocking filler. If you know a man into fitness, the Withings Activite Pop Watch is a great, more affordable fitness watch to invest in. It comes beautifully packaged and appears as a regular watch would but it also tracks activity level as well as the time. The Bluetooth feature automatically syncs data to your phone so it makes for the perfect fitness companion. If you’re looking to spend a little more and want to get him something really special, the Google Pixel phone is extremely popular right now. It’s extremely sleek, fast, has an amazing camera and a crisp display – and I know it would be loved by any Android appreciator. I have an Apple iPhone myself, but after having watched my husband use his Pixel for some time now, I can certainly see the appeal. For super stylish men, a classic Burberry cashmere scarf would keep them warm this season as well as being such a special addition to their wardrobe. The brand also offers a service where you can get initials monogrammed onto the scarf for free, so it makes for the perfect personalised gift as well. Along the lines of getting something personalised (and definitely more budget friendly), a gorgeous monogrammed leather notebook would be a lovely gift or stocking filler as well. There are lots of different sizes, leather types and embossing styles to choose from – and a gift like this would show that you put a lot of thought into it! 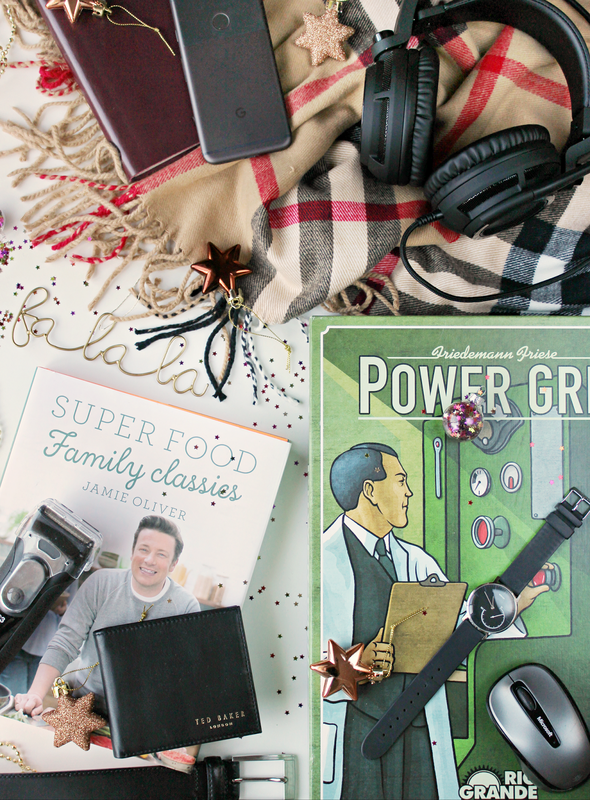 What are your favourite gift ideas for men? Previous Post Gift Guide: Beauty. Next Post Gift Guide: For Her.